As a result of the very successful 2017 Okanagan Fest of Ale Craft Beer and Cider Festival, the Okanagan Fest of Ale Society was able to donate $60,000 in net proceeds to charity in the community. At a presentation held on October 12th, 2107 in Penticton Okanagan Fest of Ale Board of Directors, event volunteers, sponsors, supporters and charitable recipients gathered together to celebrate the success of the 22nd annual event. 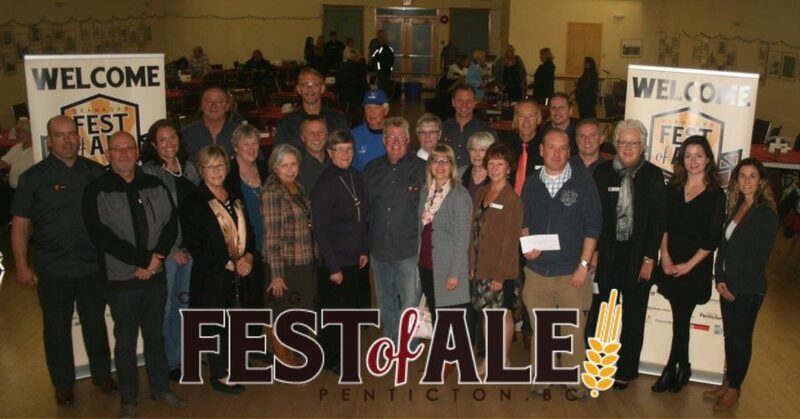 The Okanagan Fest of Ale Society Board was thrilled to announce that a total of $60,000 was to be distributed amongst 20 well-deserving, local charitable organizations at the combined charitable grant presentation and volunteer appreciation event. 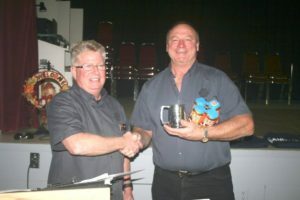 “This is one of the largest disbursements to charity we’ve had the pleasure of distributing and brings the total donations made by the Society to $637,660” said John Cruickshank, President of the Okanagan Fest of Ale Society. Highlighting the event, were presentations made by representatives from each of the charitable organizations detailing their organizations initiatives and benefits to the community; while a special presentation recognizing Randy Kirkoski, long standing Board member, for 17 years of dedication to the event brought the crowd to it’s feet. Cruickshank summarized, “On behalf of the Board of Directors of the Okanagan Fest of Ale Society, we would like to extend thanks to all vendors, sponsors, supporters, volunteers, entertainers, judges, media and attendees for making this event an incredible success year over year. Be sure to save the date for 23rd annual event taking place April 13th and 14th 2017 in Penticton. Cheers to 17 years of beers and support!